Smart IPTV service with Hi-Speed broadband internet connection soon in your living room in Chennai and whole state of Tamil Nadu. "Home Smart Home", the new spell of Arasu Cable TV company is preparing for Internet Protocol Television (IPTV) and broadband and other Internet services to all households at affordable prices under state new offer, Internet to every household is the policy of government of Tamil Nadu. A few weeks after the Chief Minister J Jayalalithaa made an announcement about it in the Assembly in accordance with Article 110. Arasu Cable TV has invited applications from all the cable operators today around the state of project. "Those who are willing can participate in the program www.tactv.in and log in the request for the Internet service option. From October 5 entries can be made until 17:00 clock to 20 October" Arasu Director General of Cable said in a statement today. Arasu Cable TV of Tamil Nadu government has been recently working on Internet service provider (ISP) license issued by the Ministry of IT of the Union, and has also signed a Memorandum of Understanding with India Railtel to provide high-speed broadband and other Internet services throughout the state. Making an announcement about the project of broadband and internet TV in Assembly, recently Jayalalithaa said, the center will launch BharatNet in the state and these services will be provided by Arasu Cable Corporation to all households of state. Jayalalithaa said, as all gram panchayats in the state would be connected by the BharatNet by Center project, the ISP license is used to provide Internet services to all households under tis offer, Internet for all system vendors. "In addition, I am pleased to inform you that the internet protocol television services (IPTV) is also provided with high-speed broadband and other Internet services are available," he added. Therefore 12.524 rural organizations will get connected to IPTV service (internet) via the fiber optic network with an investment of Rs 3,000 crore with aid by Tamilnadu FIBRENET Corporation will be created for this purpose, he added. 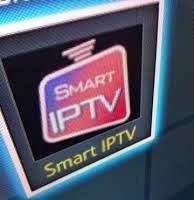 IPTV is a system by which television services is provided via Internet protocol, suite are delivered in a packet-switched network such as a LAN or on the Internet, rather than in formats terrestrial and cable signals delivered traditional TV and in satellite TV. It can either use to watch live TV or record video to watch favourite TV shows later.